Embrace Compounding - Stop Shoving Pills Down The Throat! Have you ever struggled giving your dog or cat medication by mouth? Have you ever wondered if there was a less stressful means of administering necessary drugs to your fur baby? I hope this week’s blog will provide some truly useful information to make medicating your pets easier. For this week’s one year anniversary (WOW!) of CriticalCareDVM – Because Pets Can Have Specialists Too, I am pleased to welcome guest blogger Dr. Drew Olson, National Director of Veterinary Compounding at Kohll’s Essential Pharmacy Compounding. He is going to share with you some unique options about your pet’s medications to help ensure treatment success! Happy reading! Fresh out of veterinary school and working in an animal hospital near Ames, Iowa, I experienced one of those life-altering moments that catches you off-guard and catapults you into unexpected opportunity. A doting couple in their 70s brought me their beloved 10-year old Shetland Sheepdog, Crystal. Crystal was suffering from a skin infection and living with skin allergies. I prescribed antibiotic and steroid for them to give Crystal by mouth, and asked them to revisit with me in two weeks. They dutifully scheduled their recheck appointment and promised to return in two weeks. At Crystal’s recheck visit, her skin problems had dramatically worsened, and now their sweet-natured dog was increasingly anxious and agitated. Mom was wringing her hands and dad would not make eye contact with me. After thoroughly examining Crystal, my initial diagnosis did not change. So I asked the kind and loving parents to walk me through their daily medication administration routine. It was at this time they both sadly admitted they had not been giving Crystal her medications by mouth because Crystal put up such a struggle and refused to swallow or eat the pills even when they were hidden in a hot dog. Everyone in the room was frustrated. There had to be a better way! Why is it so challenging to medicate pets? It may surprise you to know many of the medications prescribed for your pets are the exact same ones you and I are prescribed by our personal physicians. As these drugs are manufactured for human use (and thus based on typical human body weights), many of the tablet and capsule strengths and sizes are simple far too much for pets. 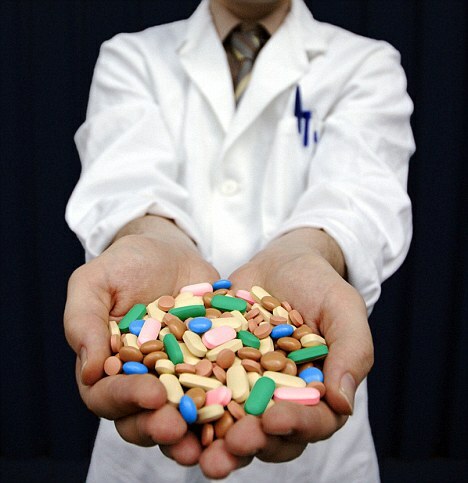 Another important issue is the difference between how humans and animals ingest medications. 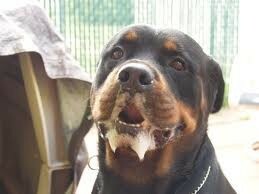 People swallow drugs, and pets typically chew them. Did you know older pets living with chronic diseases like osteoarthritis, heart disease and chronic kidney disease often need 4-10 pills every day? This unenviable combination of large tablets sizes and a need for multiple pills per day doesn’t bode well for high rates of compliance from pet parents! Obviously there are technical downsides to your pet needing multiple medications on a daily basis, especially in cats, small dogs and exotic animals. As I mentioned earlier, many times the pills are too large for the pet and need to be split. Splitting pills is not always accurate, potentially leading to under- or over-dosing a sick pet. Furthermore medications can be very bitter, necessitating they be hidden in a tasty morsel of food like cheese or peanut butter; understandably this extra food given just to medicate a pet can lead to weight gain, overweight and obesity. If you have had to give oral medications to your pet, then you know exactly about what I’m talking! Is giving that pill every morning and every evening to your cat for the rest of its life an overwhelming and impossible-sounding task? Have you ever just given up on providing your pet a prescribed medication because it was just too difficult? Compounding Point #2: We can do better! In the United States and around the world, veterinary medical advances are being made every day. Animals are diagnosed earlier and more accurately so they are living longer and leading fuller lives. New and more effective treatments are being discovered to help enhance quality of life. So breathe a big sigh of relief! In veterinary medicine there is a revolutionary approach to medications for your fur babies! We have the ability to help families like Crystal’s ensure their pets receive the medications prescribed by their veterinarians with little-to-no fuss! The battle of administering medications to your fur baby has ended. Pets across the country are happily and tail-waggingly taking their prescribed medications! The revolutionary approach in veterinary medicine is called compounding. Veterinary compounding is the mixing of medication to meet the specific needs of an individual animal requiring treatment. 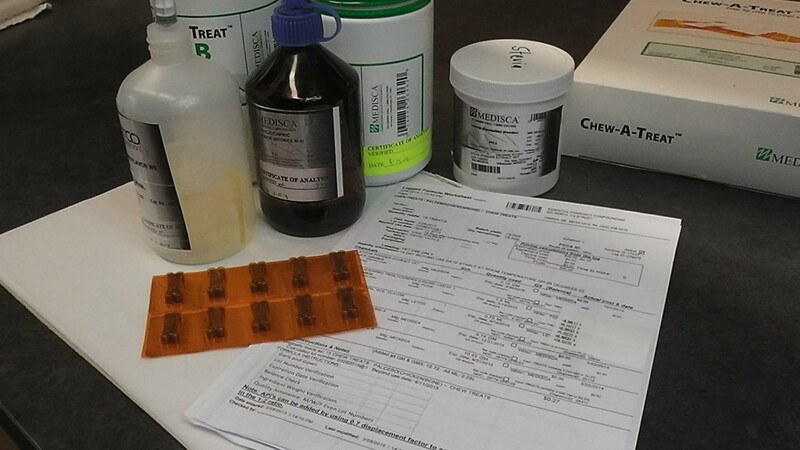 A pharmacist typically performs advanced veterinary compounding to ensure accurate dosing and best safety practices. Although veterinary compounding is a relatively novel approach to providing medications to sick pets, the concept of compounding is actually not new at all. Before the advent of manufacturing and large pharmaceutical companies in the 1950s, all medications were compounded. With the move toward mass production in the middle of the 20th century, individual patient needs ultimately took a proverbial backseat. But here in the United States, pet parents are unquestionably dedicated to the healthcare of their fur babies, and veterinary compounding is meaningfully enhancing a veterinarian’s ability to provide necessary drugs to pets that can be administered by families with minimal stress or discomfort to the patient. Below are two common examples. Cats with hyperthyroidism are often treated medically initially or sometimes chronically with a medication called methimazole (Tapazole®, Felimazole®), which is mass-produced in pill form. When cats don’t tolerate the pill (a common occurrence), a veterinary compounding pharmacy can formulate methimazole into a flavored oral suspension or even as a gel that can be rubbed on the inside of the cat’s ear flap. Dogs frequently develop diarrhea, and this can be an acute or chronic problem. One of the initial drugs used to combat diarrhea is called metronidazole (Flagyl®) that is mass-produced in a large pill. Unfortunately metronidazole is extremely bitter (pets often froth at the mouth once the pill touches their tongues) and often the pills are too large for small and medium breed dogs to easily accept. A veterinary compounding pharmacy can formulate metronidazole in a more pleasing and certainly less bitter flavored liquid to make the medicating process much less stressful for all. Some veterinarians perform compounding in their hospitals. While this is seemingly a convenient service, it is not the most accurate way to formulate compounded drugs for pets. Similarly not all veterinary compounding pharmacies are the same. Giving improperly formulated compounds to pets can have devastating, even deadly, results. So how you do know if your pet’s compounded medication is safe and comes from a reputable source? Compounding pharmacies in both human and veterinary medicine that adhere to the strictest safety and accuracy guidelines are accredited by an organization called the Pharmacy Compounding Accreditation Board or PCAB, a subsidiary of the Accreditation Commission for Health Care. You want your pet’s compounded drugs to come from a PCAB-accredited compounding pharmacy. Accreditation ensures formulations are compounded from the highest-quality materials according to strict national standards. The result is high-quality and accurately formulated medications that meet the specific needs of an individual patient. Talk to your pet’s veterinarian. Discuss the problems you’re having. Always remember your veterinarian is your best source of reliable information about your pet’s health! Be confident in your compounding pharmacy. If you and your veterinarian elect to use a compounded medication for your pet, you should ensure it comes from a reputable source like a PCAB-accredited pharmacy. Remember your pet deserves the best! Cheaper doesn’t mean better. I encourage you not to base your decision about compounded formulations on cost alone. A cheaper medication from a non-PCAB-accredited pharmacy should cause you to raise the proverbial red flag! There is a reason it is cheaper, and that reason could result in harm to your pet. By using a PCAB-accredited pharmacy, you will have true peace of mind knowing your pet’s compounding medication was properly and accurately made following the strictest safety guidelines, and that’s priceless! Dr. Drew Olson is originally from Papillion, Nebraska. 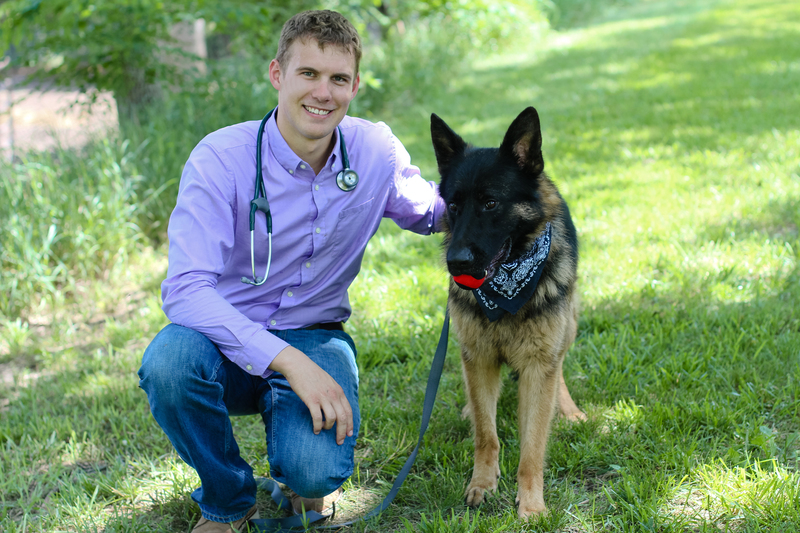 He received his veterinary degree from Iowa State University where the Nebraska Veterinary Medical Association (NVMA) recognized him for scholastic achievements. After graduation Dr. Olson initially worked as a mixed animal veterinarian in Winterset, Iowa before moving back to Nebraska where he joined the team at Plattsmouth Animal Hospital in Plattsmouth, Nebraska. During this time he developed a keen interest in veterinary compounding, and made professional connections with the pharmacy team at Kohll’s Essential Pharmacy Compounding (EPC). His interest resulted in an opportunity to work with this team and help educate veterinary colleagues about veterinary compounding best practices. Dr. Olson is also active in organized veterinary medicine, serving as the District I Director At-Large for the NVMA. In his free time he is an avid swimmer and mountain biker.